The ninth edition of Confluence 2016, an annual event of St. Michael's School, Siliguri, ended yesterday with spell bee and debate competitions. The two-day event in association with The Telegraph, had seen over 200 students from 19 schools participating in quiz, debate and spell bee competitions. Schools of Siliguri, Jalpaiguri, Kalimpong, Darjeeling, Bokaro and New Delhi took part in the contest. The spell bee contest was won by Saptarshi Gyanpeeth, Kalimpong. Delhi Public School, Bokaro, stood second and Don Bosco School, Siliguri, was in the third position. Mallika Singh from Delhi Public School, Siliguri, won the best spell bee award in the individual student category. Parnab Mukherjee, who conducted all the competitions, told the students to participate in spell bee contests and learn new words, their meanings and origins, instead of learning those from the Internet. The debate competition was won by Avantika Chodha, Mallika Mukim and Jatin Gupta from The Indian School, New Delhi. Prachi Ashmi, Rishika Srivastava and Rashi Bharti from Delhi Public School, Bokaro, came second and there was a tie in the third position between the students of Birla Divya Jyoti School, Siliguri, and Don Bosco School, Siliguri. The Delhi Public School, Bokaro, won the overall trophy scoring the highest in the entire event. Saptarshi Gyanpeeth, Kalimpong, and Don Bosco School, Siliguri, won the second and third positions in the overall category, respectively. 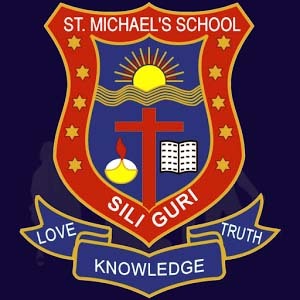 St. Michael's School, Siliguri, won all three quiz categories - general, sports and entertainment.